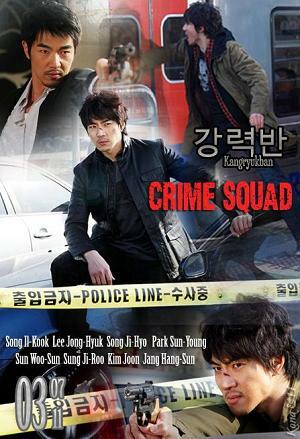 This drama focuses on a group of detectives in the Seoul Gangnam Police Homicide Division who solve crimes based on real life cases with their variety of skills and investigative methods. At the forefront of the team is the impulsive and hotheaded detective Park Se Hyuk and the cold, commanding police chief, Jung Il Do. Park Se Hyuk's passion for his work and rough personality results in a tendency to take action first before thinking later, in contrast with Jung Il Do's by-the-book style. 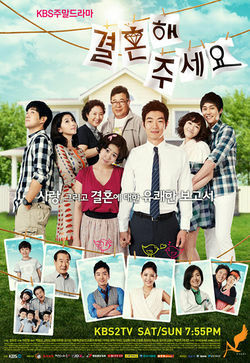 This drama tells the story of four couples that live under the same roof getting married. Suh Jin Young is an aviation maintenance technician. Her fiance Jae Hoon passed away in a horrible traffic accident. Kim Chae Joon dreams of becoming an aviation maintenance technician but he encounters prejudice because he is an ex-convict. He killed some one with his car. 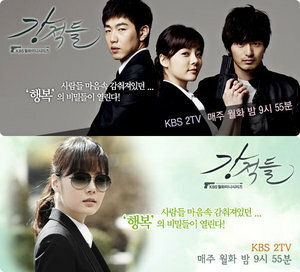 Suh Jin Young gives him a chance to work under her and they fall in love. However that love is severely tested when they both discover that the Chae Joon's victim was Suh Jin Young's fiance Jae Hoon. Suspense of a chase, an escape, and a comedy. Kang Dal-go; a man hunted by gang members, trying to stay alive.A story that warms up your heart. This outcast turns into a quack. The disclosure will bring his death, yet this phony doctor never keeps quiet inside the hospital.Intense love drama! Kim Yoo-nah, an outrageous “princess” who cannot tolerate a phony. She tries to reveal his identity but her emotions get in the way..